Dhaka, 10 September, Abnews: The High Court has directed the authorities concerned to remove all the establishments beyond the layout plan of Hatirjheel-Begunbari project within seven days. An HC-bench, led by Justice MdNazrul Islam Talukder and Justice K M Hafijul Alam, came up with the order on Monday after hearing a writ petition filed in the form of public interest litigation. Advocate Manzil Morshed stood for the writ petitioner while deputy attorney general AmitTalukder stood for the state. 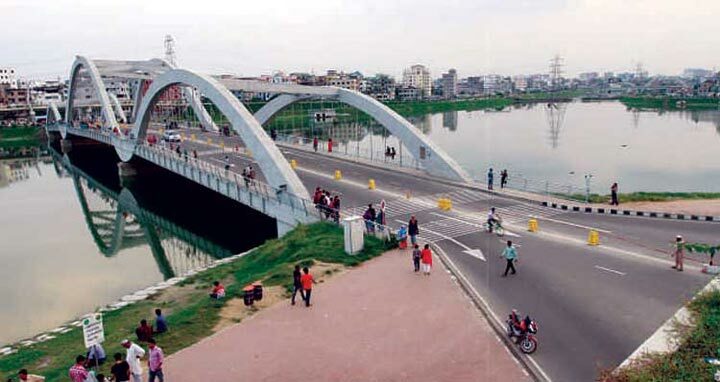 Rajdhani Unnayan Kartripakkha(Rajuk), Dhaka Metropolitan Police Commissioner, officer-in-charge of Hatirjheel thana and the project director have been made respondents to the rule.